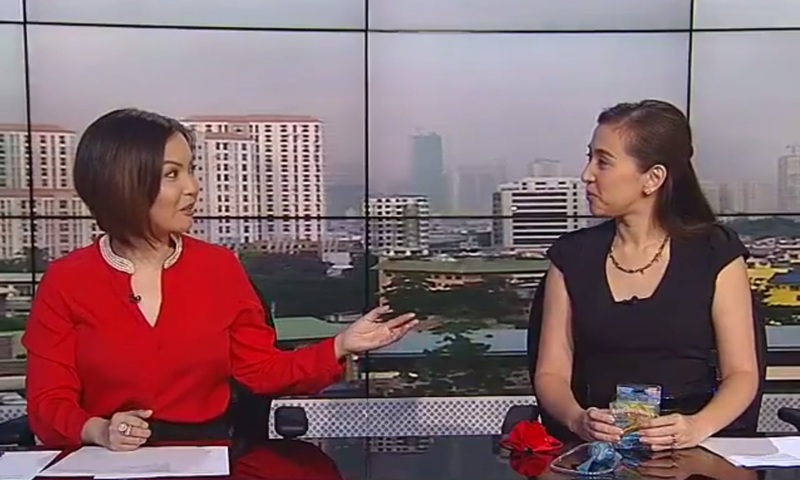 Before Amelyn Veloso co-anchored New Day with Karen Jimeno and Headline News with Claudine Trillo, she was Claire Celdran's original partner-in-crime on Solar Daybreak. From being virtually unknown, Veloso and Celdran made Solar News Channel's foray into morning television a success — improving not only its ratings, but also earning new loyal viewers for the then-Sunny Network. In our 2013 review, we lauded the show for being "fast-paced, newsy, informative and unquestionably a breath of fresh air," writing at the time that "Solar Daybreak is Philippine TV's breakthrough morning show." We also commended the anchor duo for bringing something new to morning TV, writing: "What's commendable about Celdran and Veloso is that their partnership seems genuine and that they like each other. Aside from that, they never try to outshine one another. It's always a give-and-take scenario whenever they conduct studio interviews and when they do banters. It's like seeing Amelyn as the older sister with all the wisdom and experience, and Claire as the younger sister with that impressive track record and hunger for quality journalism. Chemistry is what fuels the show and they clearly found the right tandem with these two." Veloso acknowledged that in a 2014 interview with Media Newser Philippines in which she raved about their partnership: "Whatever we do or say on air when we banter is not scripted. What you see on air when we banter is really how we are off-cam. We’re actually crazier and more irreverent off-cam. We share our personal experiences and laugh with and at each other," she said. Veloso would later leave the show to focus on Serbisyo All Access, while Celdran continued with a new co-anchor, before leaving Solar News in late 2014. The two would later reunite, albeit for only a few months, on Headline News when Celdran joined the local CNN station in 2015. As announced last night by CNN Philippines, Veloso's wake will be held today at the Santuario de San Jose Parish Church in Greenhills. She will be laid to rest on Sunday, August 27.